SANTA ANA -- A 96-year-old Laguna Woods man is facing molestation charges after he allegedly removed his diaper to expose himself to two young girls and touched them inappropriately, prosecutors said. 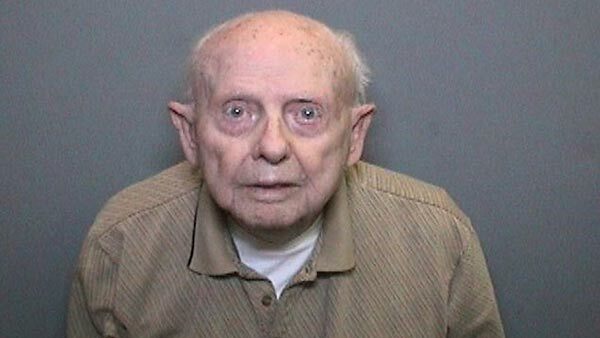 Kenneth Leroy Collins, being held on $1 million bail, is believed to be the oldest man in the Orange County Jail. The Orange County District Attorney's office said that Collins allegedly molested two girls, ages 11 and 12, in Laguna Woods between Jan. 1 and Feb. 24. He is accused of touching the girls inappropriately, masturbating in front of them and removing his diaper to expose himself. He was arrested Feb. 25 and is scheduled to be arraigned on Friday.